And THIS is how you do a fairy tale adaptation. Tale of Tales (Il racconto dei racconti) is an Italian-French-British film based on stories from Giambattista Basile's 1634 fairy tale collection, the Pentamerone. It is categorized as "fantasy-horror" - which is pretty much the same as saying "fairy tale adaptation." First off, in good European film fashion, this movie pulls no punches. There is no fake prudishness, no sugarcoating, and while everything you see on seen is gorgeous, nothing is ever "pretty" or neat. The film has the surreal, unreal, startling beauty of fairy tales; it visually represents the elaborate, flowery language of Basile's stories, while revealing the darkness that operates their plot. And there is definitely darkness. I knew all three stories before I saw the movie; I knew what was supposed to happen, but I kept wondering if they would actually go there. They did, and then some. I was surprised at how strong the emotional reactions were that this film got out of me at every turn. I was literally biting my nails (or rather, my fist). 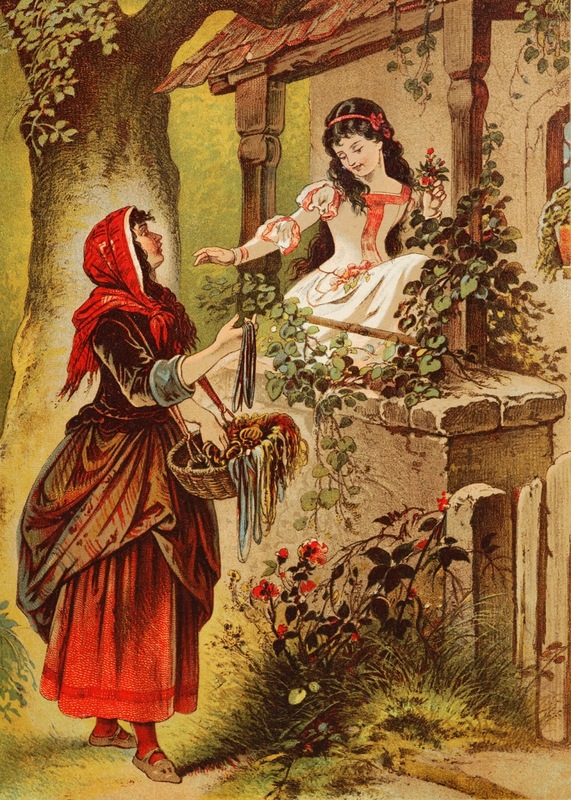 They took the fairy tale stories, and added the raw emotions to every character - what would a princess feel when she is given away to a stranger as a wife? What would a queen behave like when she gets a child after years of longing? What would a woman feel when her sister leaves her behind? The emotional roller-coaster takes us through all that and more, from horrible fight to tearful relief to bitter pity. The whole thing is wonderfully constructed, exciting - and emotionally exhausting in a good way. The acting is stellar. Bebe Cave, in the role of The Flea's Princess Violet, deserves an array of awards for her work. She had moments that I had to replay multiple times. Shirley Henderson (whom I didn't even recognize until I looked at the credits) brings a heartbreaking performance. Salma Hayek is a perfect queen, and Toby Jones is everything a slightly crazy fairy tale king needs to be. Even more important than this: The creators understood fairy tales. They knew that they have not endured for hundreds of years because of the dresses, sunshine, and cuteness (*cough*LiveActionCinderella*cough*). They were not afraid to go into the emotions behind the symbols, while still keeping the magic intact. And as they did, they managed to open up new ways of understanding these stories - they turned envy to longing, desire to greed, desperation to power (you'll get it when you see it). The movie is an exercise in doing the "what if" kind of fairy-tale re-tellings with grace, empathy, and subtlety. 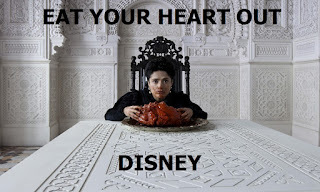 This movie is probably the best fairy tale adaptation I have seen in a very long time. In the meantime, I am continuing the running theme of the Peasant Bible, Hungarian folktales that feature biblical elements. According to the folktale, when God created people, both men and women had periods. The story goes there was a carpenter who worked while menstruating, and there was blood everywhere in the workshop, staining the floor and the wood chips lying around. His wife came in, saw the mess, and ordered him to clean it up. The husband pushed the bloody wood chips around a bit, but nothing got significantly cleaner. Because she couldn't watch the mess getting messier, she started cleaning up after him as he went about his work, bleeding away in a carefree manner. God looked down and saw all this. He thought about it for a full two minutes before he declared that from that day on only women will bleed, because they are the only ones sensible enough to know how to keep the mess in check. 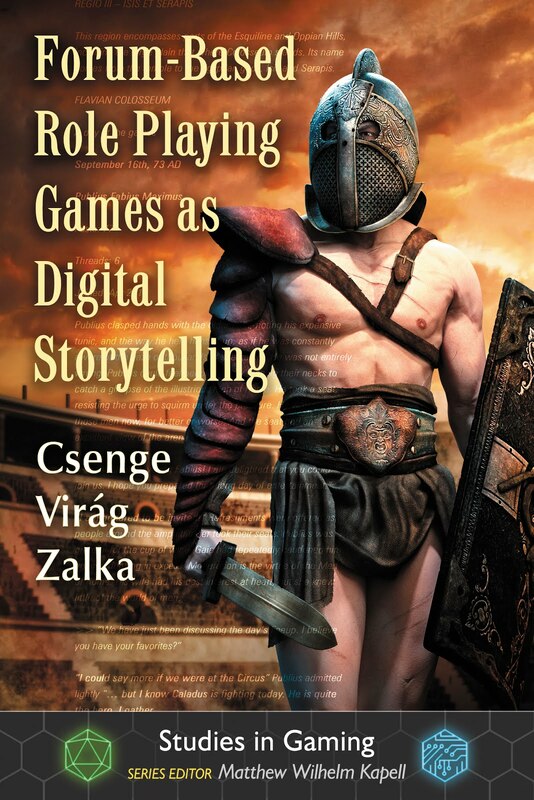 Going to a Game of Thrones themed library event with an SCA group to tell a Hungarian folktale definitely punched out all the remaining holes on my Nerd Card. We were invited to the Way Public Library in Perrysburg to do an SCA demo, and bring some medieval shinies and goodies to show off. I also volunteered to tell a story, and I was especially looking forward to it because it was an adults-only event (duh). We set up our tables to display arts and crafts, as well as armor and weaponry. One end of the room was for presentations; on the other end there was a whiteboard where you could match the Houses' words with their sigils, or pin a braid on Khal Drogo. All in all, it was a nice setup for a themed event. The librarians also earned brownie points in my eyes when, before the start of the event, they closed all the doors and started playing the Rains of Castamere. As for the entertainment: First there was a presentation about international relations theory, and how it relates to Game of Thrones. The professor who did it even ventured to guess what is going to happen in upcoming seasons/books. I didn't agree with all he said (that's the beauty of fandom) but there were some really interesting predictions. We'll see if he was right when we get there. After the presentation, there was a hair-braiding demo done by ladies from a local salon; they made some very impressive braids on their model in almost no time at all. With that done, it was time for some storytelling. 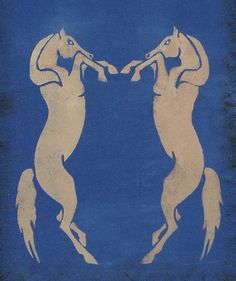 I have been pondering what to tell in my 20 minutes; the choice was between a Hungarian folktale (to represent nomadic shamanistic cultures - let's face it, if we are anywhere on the map of Westeros, we are the Dothraki) and the saga of Herraud and Bosi (for the little princess raising a dragon). I briefly even considered telling both of them in drastically shortened versions; but once I took the stage, the story took on its own life, and I went with it. I ended up telling a spot-on 20 minute version of the Son of the White Horse. I haven't told this story in ages, and I was not only happy to dust it off again, but also enjoyed seeing the audience's reactions. 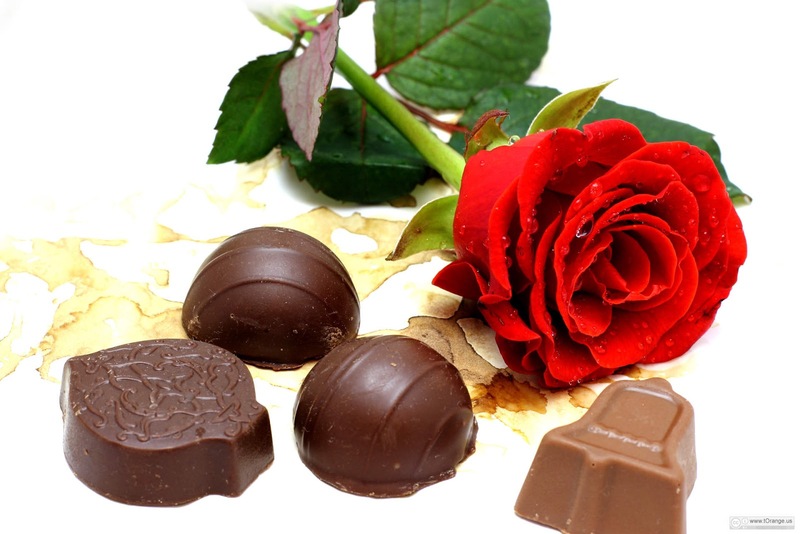 As well known as the tale is in Hungary (we pretty much all grow up with it), it is definitely a trip for foreigners. The audience was great, and followed through all the way. Once again, the meeting of pop culture and traditional storytelling was a very enjoyable one. I wish I had gigs like this more often. Continuing my #FolkloreThursday series of selections from the Peasant Bible (Hungarian folktales based on biblical themes). This week I will let you in on a secret: The real reason why women have to do the dishes in the household. Adam and Eve had a fight about who was supposed to do the dishes. Adam did not like it one bit; he was supposed to be the head of the household, and felt like his manliness would the tarnished by doing menial chores around the house. (Cave?). Therefore, he did what any red-blooded man would do when he can't agree with his wife: He went to tell on her to God. "Please God, I can't deal with her anymore. Take her back." God took Eve away from Adam. Three days later, Adam showed up again. "Please God, give her back! I miss her!" "First you want her gone, then you want her back? Which is it?" asked the Lord. "I don't know!" Adam wailed. "You can have her back" God concluded "But next time you have a fight, don't come to me!" Adam and Eve returned home, and went a whole week without argument. Then the dishes piled up, and the yelling started once again. Finally, when they were both frustrated and exhausted, the couple made a bet to solve a problem: Whoever speaks first will do the dishes for all eternity (clearly they were not aware of the weight of their actions). They went for quite a few days without either of them speaking a word. Or doing any dishes. One evening they were both by the fire; Adam was fast asleep, and Eve was just kind of sitting around (probably wishing for books to be invented). They had a cat that was also playing nearby. 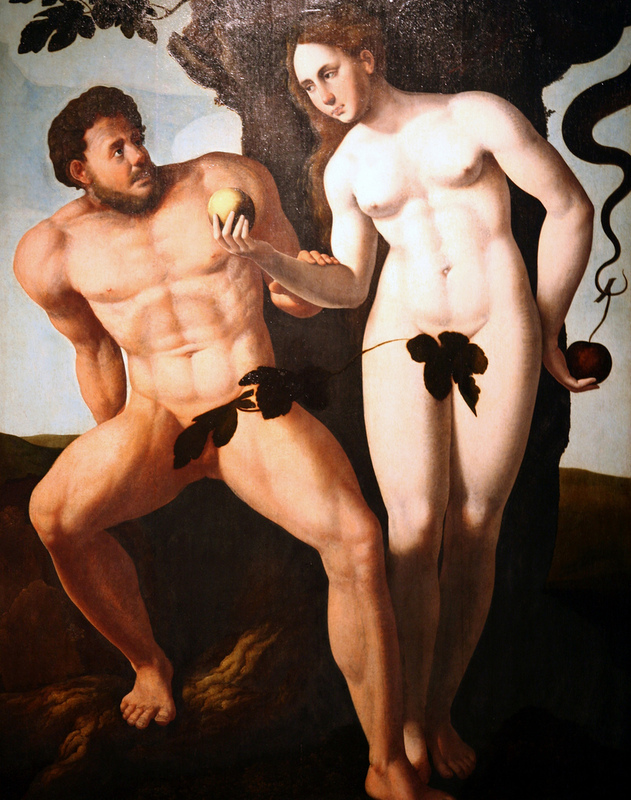 Since this is the Time Before the Apple, when no clothes were necessary, all Adam was covered with was a sizable fig leaf (obviously). Well, as he was lying on his back, no doubt dreaming some very appealing dreams, the fig leaf began to twitch. Eve observed what was happening. The cat froze, large, luminous eyes following the leaf's every movement. As the leaf began to rise up, the cat began to crouch down, tail sweeping from side to side. Ready to pounce. "NO! THAT'S MINE! BAD CAT!" And that is why women have to do the dishes. You'd think men would be willing to take this chore over, given what we saved them from. 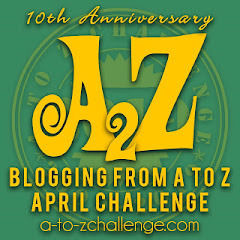 A to Z Challenge Early Theme Special: Do you know any good folktale collections? 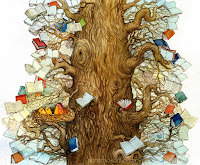 I have been getting increasingly frustrated about folktale collections. I spend a lot of time reading book blogs, following book tweets, and procrastinating on Goodreads. It didn't take long to figure it out that my reading activities fall into a very narrow niche: I love to read traditional stories. I get incredibly excited about upcoming folktale collections, and I go to great lengths to track down the ones that are hard to find. I have quite a few favorites, but I am always on the lookout for more - especially from cultures that I am not very familiar with. 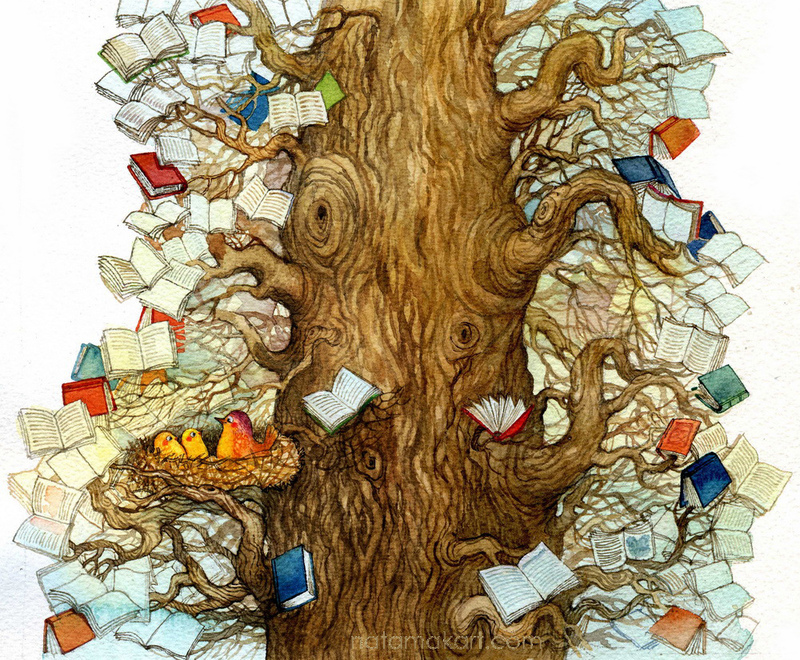 Folktale collections get very little publicity, and almost no excitement. Yeah yeah, I know, there are many storytellers and story-lovers out there who share my feelings. But let's face it: Compared to the hype around YA fiction and supernatural romance (for instance), "folktale collections" is not exactly a hopping topic. 1. 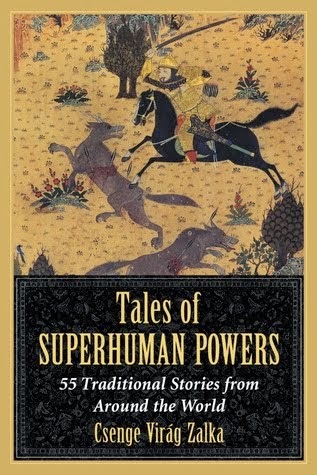 I want to read a folktale collection for every letter of the alphabet. 3. I want the collections to represent as many different cultures and traditions as possible. 4. I want as many as possible to be new or recent editions, raising awareness of the genre and its latest developments. 5. I want to write all my A to Z posts as if I was pitching these books to a wider audience. I want to write posts that highlight all that is exciting, unique, and magical about them. I want to make people want to read them, discover new tales, new worlds to get lost in, and broaden their horizons way beyond the "classics." 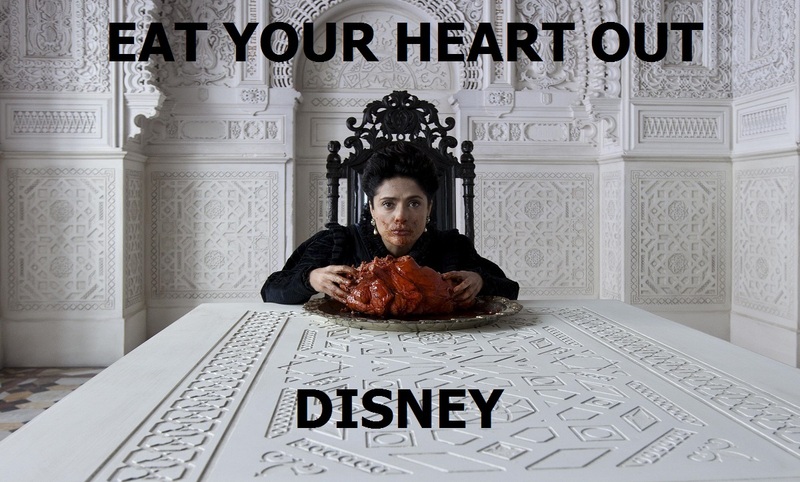 (If I see one more Cinderella/Snow White/Riding Hood adaptation, I'll scream). And here is where I need your help. *Note* If it's your own work, you don't actually have to send me copies. I am happy if you do, but I am also happy to support publishing by buying the books that make the final list. *Second note* I am probably going to post a full list of the suggested books, regardless of whether they are on the A to Z list. 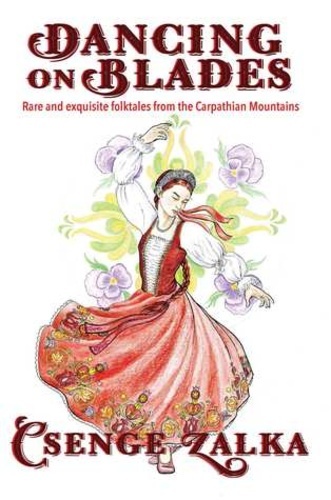 Continuing our weekly selections from the Peasant Bible, a collection of Hungarian folk legends featuring biblical themes. 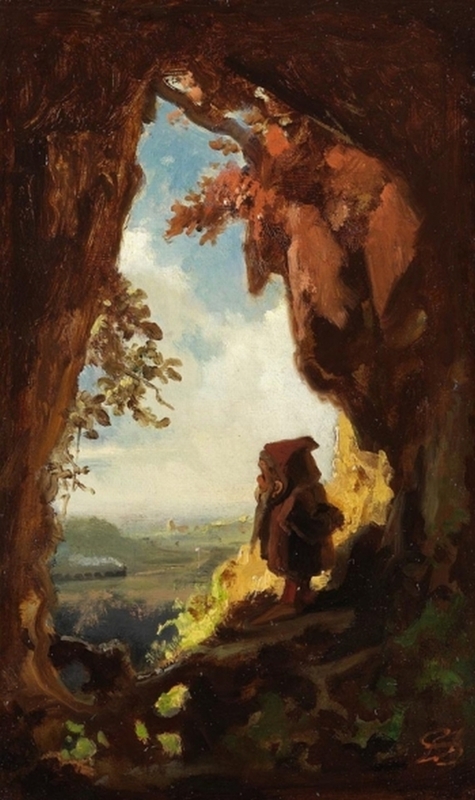 This short little story comes from Ortutay's collection of Hungarian folktales. I personally like this one for two reasons: One, my great-grandfather was a blacksmith, so it is close to home, and two, Jesus is kind of a showoff in this one. 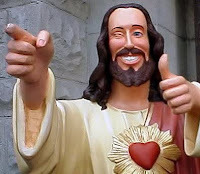 Jesus smirked quietly, then walked in, and got himself hired as an apprentice. Soon after, a rich man stopped by to have his horse shod. The blacksmith ordered Jesus to do the job. Jesus went outside, cut a leg off the horse, took it inside the workshop, nailed the horseshoe on it comfortably, and then put the leg back on the horse. He did the same thing with the other three legs, and the rich man rode away, satisfied with the work. "And now" he said, smiling "Please take down that sign that says 'Master of Masters,' and put up one that says 'Blacksmith.'" And then he probably dropped the mic. If you thought storytellers were docile, merry, peaceful individuals who spend their time frolicking in meadows and consorting with fairies... you have clearly never met a storyteller. Believe me, we can be quite terrifying. Especially when someone hits the right buttons. 1. Excalibur and the Sword in the Stone ARE NOT THE SAME SWORD. Not in most stories, anyway. Arthur pulls one sword from the stone (AND ANVIL), and gets the second one from the Lady of the Lake. This second one is the one usually named Excalibur. 2. Morgan le Fay is NOT Mordred's mother. That's Morgause. Wrong sister. 3. Pandora's box HAS ALREADY BEEN OPENED. It is not some mystical chest full of evils. The only thing left inside it is Hope. 4. Dionysus is NOT an old fat drunk man. He is a youth. In fact, he is one of the most attractive of the Greek gods. 5. Andersen stories are not "Danish folktales." In fact, they are not even "Danish fairy tales." They are Andersen stories. 6. And while we are at it, Peter Pan, Alice, or the Wizard of Oz are also not folktales. 7. Rapunzel doesn't get RESCUED from the tower by the prince. He just visits her and gets her pregnant, and then the witch throws her out. 8. Snow White was persecuted by her BIOLOGICAL MOTHER. At least in the original first edition of the Grimm tales. Stop blaming stepmoms for this one. 9. Stop with the "if the shoe fit perfectly, why did it fall off?" memes. Cinderella lost her shoe because the prince smeared pitch on the stairs. Read the story. 10. It's "the 1001 Nights," not "the Arabian Nights." +1. Stop using "trail of breadcrumbs" as a metaphor for leaving clues. Hansel and Gretel got lost in the woods because birds ate the crumbs. The metaphor for leading someone somewhere, based on this story, should be "trail of pebbles." Whew! I feel so much lighter now. This is both my Folklore Thursday and my Dietrich Cycle post this week, because I am taking PhD prelim exams and this is all I have energy for. So. 2. Dwarfs can have a variety of skin colors, from snow white to black (take that, Tolkien fandom). 5. Dwarfs in German legend are a lot smaller than you think: Most often they stand about 3 spans (27 inches = app. 69 cm) or 2'4" tall - although some stories make them somewhat taller, the height of a child. They can also be a lot smaller, the size of a fir cone. Newborn baby dwarfs are the size of a human thumb. 6. There is at least one documented legend about a human nobleman cheating on his wife with a beautiful dwarfess. 8. Dwarf children ("dwarflings") can play with human children, and sometimes they contract lice. 9. Dwarfs like to eat peas, grapes and raisins. 10. Female dwarf musicians play cheerful music; male dwarf musicians play solemn music. 11. Dwarfs enjoy nine-pin bowling. Continuing the theme of the Peasant Bible, Hungarian folk legends about how various things came to be. On today's menu: Puli dogs. 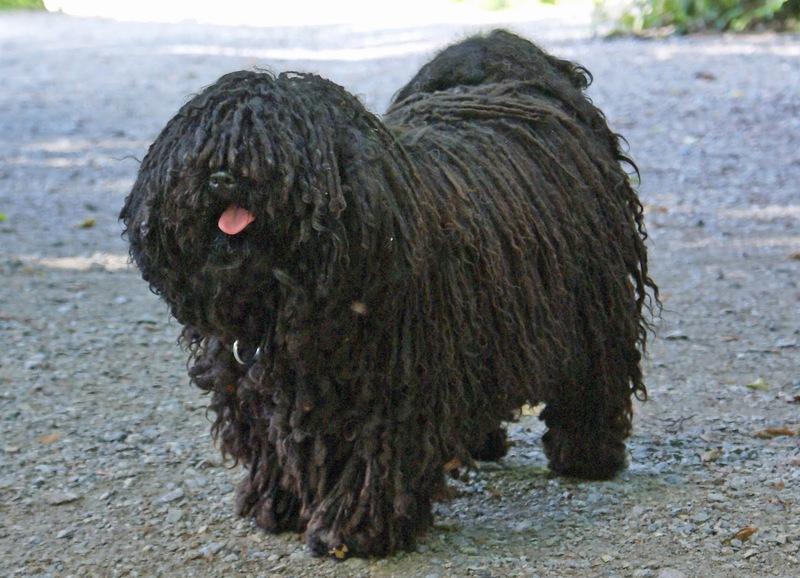 Puli dogs are a "hungarikum," which is the word we use for typically Hungarian things. For more of those, you can visit my other blog... incidentally named MopDog. Jesus always loved shepherds; they were the first one to greet him when he came into the world, and they brought him a lamb and cheese and other gifts. In the days when he walked the earth he liked to stop and converse with them; of course they usually didn't know who they were talking to. One day Jesus stopped to ask for a drink of water from a shepherd. The sheep were running all over the place, the man was chasing after them, and his water skin was empty; and yet he dropped everything and hurried to bring some fresh water for the weary traveler. When Jesus drank his fill and thanked him, the shepherd was ready to lunge after his wandering sheep again... but Jesus stopped him. "Pick up that bone" he pointed, and the shepherd picked up a leg bone from the ground. "There you go" he tried to hand it over to the stranger and go after the sheep who were quickly getting away, but Jesus stopped him again. "Now throw it" he ordered, and the shepherd threw the bone away. The moment it hit the ground it bounced up and turned into a small dog, all fur and all bark, and the dog scampered after the sheep, herding them together in no time at all. Jesus loved shepherds so much that he created the puli to do the herding for them.